A serious condition if left untreated, canine diabetes may lead to blindness, a weakened immune system and possible death. However, with proper medical treatment, a controlled diet and exercise, many dogs with diabetes can live a happy and normal life. Although there are three types of diabetes that affect dogs, this article focuses on diabetes mellitus. This disease, also known as sugar diabetes, occurs when the dog's body is not producing or processing insulin in the correct manner. Produced in the pancreas, insulin is critical for controlling glucose levels in the blood. The other two types of diabetes in dogs, diabetes insipidus and nephrogenic diabetes insipidus, are generally caused by congenital defects, disease, trauma or prescribed drugs. Just as in their human companions, the number of cases of canine diabetes is on the rise. It is estimated that approximately one out of every 400 to 500 dogs has diabetes. The increase in the number of canines being diagnosed with this illness may be due to better screening for the disease or the larger number of obese canines. Although all breeds of dogs can get diabetes, the following breeds are more predisposed to the illness. Obesity is one of the leading risk factors for canine diabetes. Females are two to three times more likely to develop the disease. 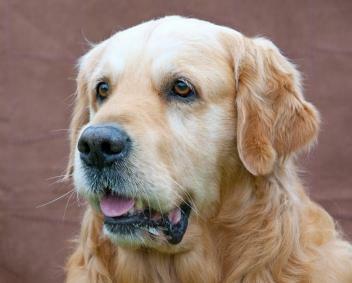 Diabetes generally affects middle aged and older dogs and is most common in those aged seven to nine. As a canine caretaker, it is important to know the common symptoms of diabetes in dogs. If you notice any of the following symptoms lasting for more than a couple of days, it is best to take your dog to the veterinarian to be checked. For many dogs, diabetes develops and worsens slowly over time. For others, the illness worsens at a more rapid pace. If your dog has developed diabetes, starting treatment as soon as possible is essential. A veterinarian makes the diagnosis of diabetes based on the classic signs and symptoms, general physical examination and laboratory tests. During the examination, the veterinarian checks the dog's overall health to help rule out the possibility of infection and other illnesses. To make a positive diagnosis of diabetes, the veterinarian uses blood and urine tests. A sample of the dog's urine is tested for the presence of glucose using a glucose test strip. If the test results show glucose in the urine sample, it indicates diabetes. The blood test measures the level of glucose in the dog's blood. This test is administered using a drawn blood sample as part of a group of blood tests or as the only test. Normal blood glucose levels for healthy dogs range from 80 to 120 mg/dl. A dog with diabetes may have blood sugar levels of 400 mg/dl or higher. Most dogs diagnosed with diabetes are prescribed insulin. The dog's caretakers generally administer the insulin injections. The veterinarian monitors the dog's progress and administers further diagnostic tests to make sure the insulin dosages are correct. Most dogs diagnosed with diabetes can lead a long and happy life with proper medical treatment, a healthy diet and exercise. .